Japanese craft books, you gotta love ’em. The bright, clear photos presented in an easy to understand step by step format and abundant diagrams. Never mind if you can’t read Japanese, the visuals alone will get you through the process. Also known as “mooks,” a hybrid of magazine and book, these tend to be smallish paperbacks printed on high quality paper with glossy covers. I covet them. Buyers often ask which books I suggest for beginners. Sashiko is a fairly simple art form, yet there are many traditional patterns that range from super easy to mind bogglingly difficult. It all breaks down to basic geometry but if math makes your brain hurt, take comfort in the thought that a lot of the time it’s just a matter of counting and eyeballing your measurements. Actual historical pieces of sashiko typically aren’t all that perfect. Yours don’t need to be, either. The following books are in very limited supply and increasingly hard to get as they are out of print. Those published by Ondori often feature Olympus sashiko supplies in their projects, which are the supplies I carry in my shop. Quick, cheap and easy: This one I refer to as the “Little Blue Book“. That’s not the actual title, but it’s easier to remember when I’m looking for it on the shelf. Plenty of color photos, good small projects, pocket size so it’s easy to carry in a purse or project bag. Includes directions for a coin purse, apron, book cover, placemat & napkins, etc. and shows how to stitch. A nice pocket primer. Published by Ondori. One project, many ways: Sashiko no Hana Fukin has 72 pages of color photos, line drawings and lovely small projects. A fukin is a small hand or wash cloth. These are similar to the preprinted sashiko kits I carry in my shop and are quite simple to make. Photos of finished projects and line drawings of patterns to copy make this a nice resource for projects you can use in your kitchen. Good for beginners. Published by Ondori. 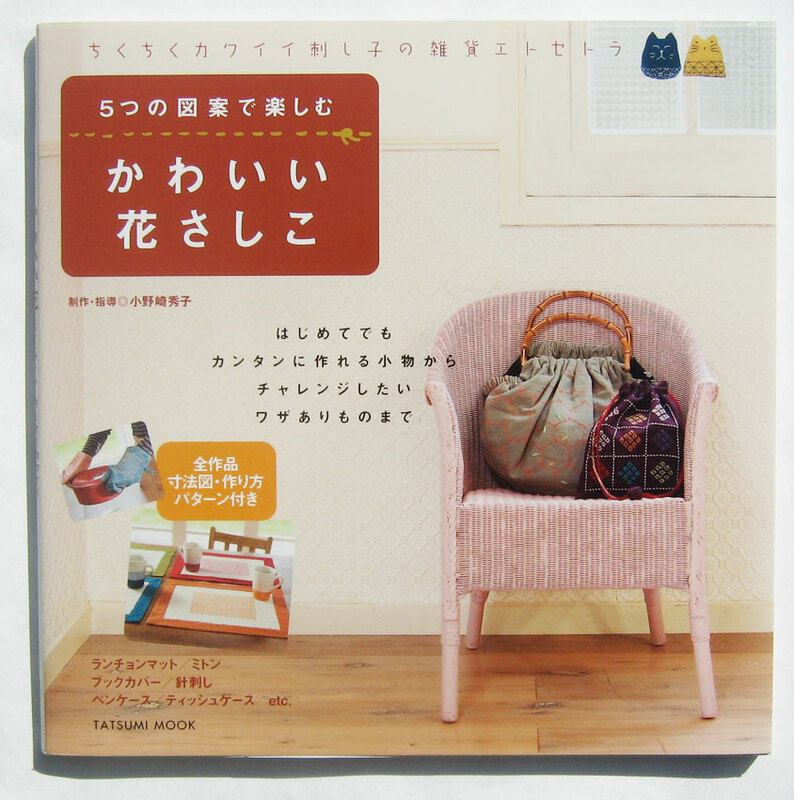 Small book, big variety: Kawaii Hana Sashiko features a broad range of projects and ideas such as bags large and small, t-shirt decoration, book covers, and oven mitts. Kawaii means “cute”! Includes examples of advanced work and even kimono. Good for inspiration if you are beyond beginner. Published by Tatsumi. 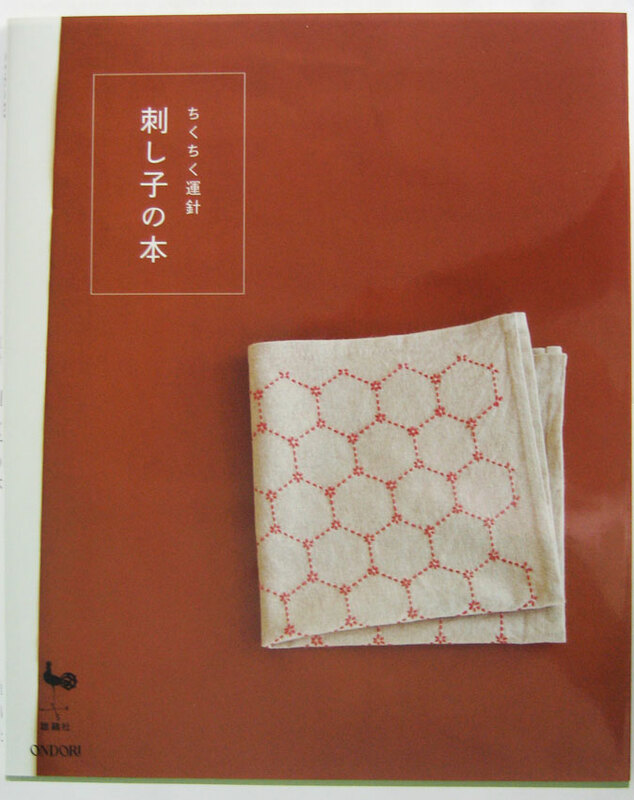 My go-to project book: Sashiko no Hon covers the basics including fukin, pot holders, simple tote bags and small purses. Clear black and white line drawing diagrams in the back, full color basic instructions on how to start towards the front. Good for those who already know how to sew. Published by Ondori. If you don’t see these in my shop, just ask and I’ll see if I have what you’re looking for on the shelf. I will be restocking a few this week and again in June after Fanime. 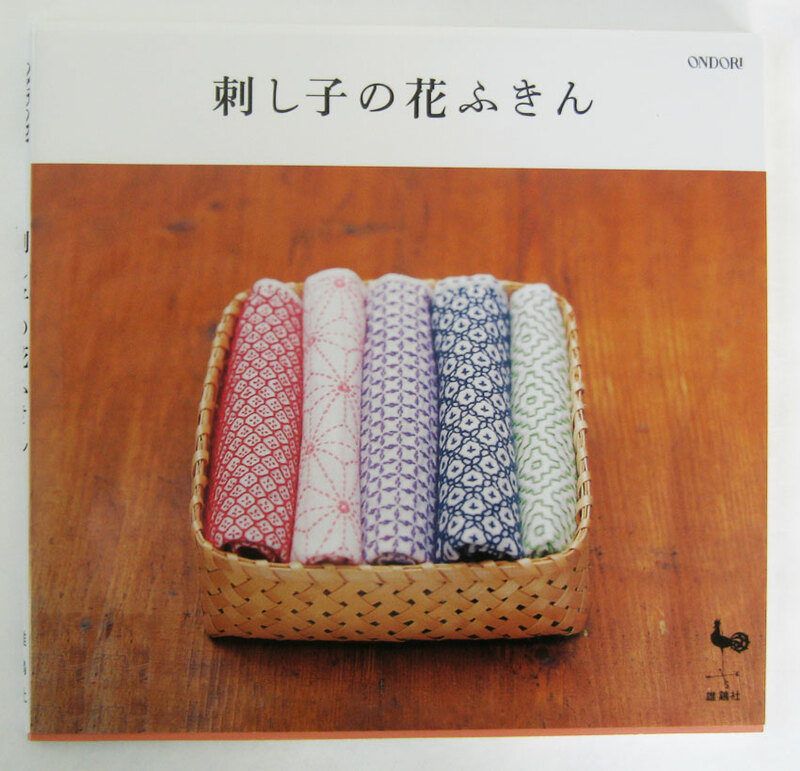 Next up, sashiko books in English!